Charles Miller, Michelle Marie Sodko (Jeffrey Graban), and Denise Anne (Raymond) Heinberg. 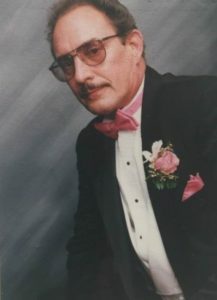 Treasured grandfather of Danielle Marie (Jace) Kempel, Justin Charles (Stephanie) Miller, Sarah Elizabeth (Jordon) Bryson, Jacob David Sodko, Brandon Leslie Miller, Chase Raymond Heinberg, Landon Nickolas Heinberg and Cade Austin Heinberg. Cherished great-grandfather of Collins Marie Kempel. Dear brother of Shirley Burd, Sharon Gerdes, Diane Wiltgen, Steve Miller and the late Barbara Voelkerding. Son of the late Floyd and Sadie Miller. Charles is survived by his former spouse, Loretta Miller; and his previous spouse and mother of his children: Karen Miller. Charles was a proud Army Veteran. He retired after over 30 years of dedicated service at Chrysler, where he proudly served as a Union Steward, in Belvidere. He had a love for restoring automobiles, collecting antique clocks, hunting, fishing, gardening and the outdoors. He enjoyed making everyone laugh and he always made time for family and friends. He will be greatly missed by all who knew him. 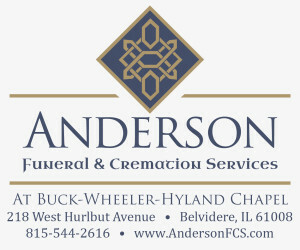 Services are private and entrusted to Marengo-Union Funeral Home, for information call 815-568-8131.